Music executive Goo-Joo (Park Ye-Jin) left South Korea 3 years ago after the death of vocalist for idol band Mr. Children. She now returns to South Korea. At the airport her suitcase is lost. 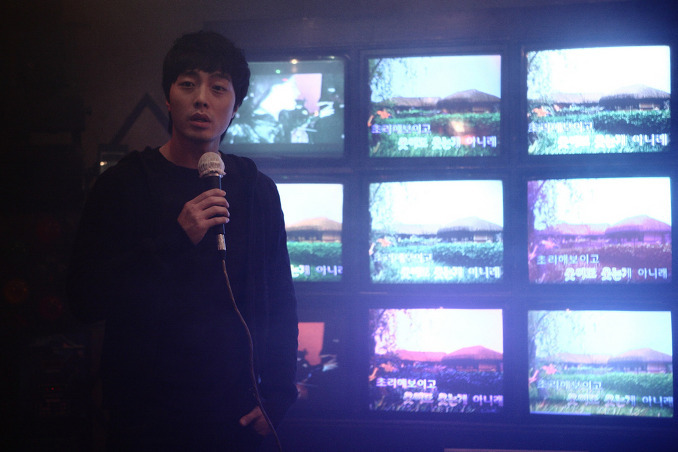 Goo-Joo's suitcase is mistakenly taken by travel guide assistant Yoo-Jin (Ji Hyun-Woo). 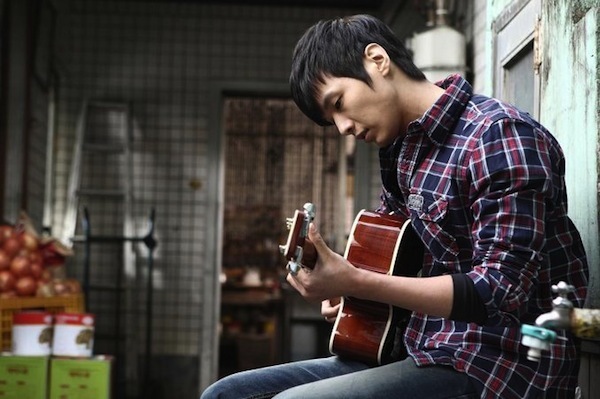 Goo-Joo is offered a job by Hee-Moon (Kim Su-Ro) who runs top talent agency Star Music. She turns the offer down and instead seeks out the remaining members of Mr. Children to reform the group. Hyun-Yi, Jio and Ricky all gather together again but they need a lead singer. Goo-Joo decides to hold an open audition to find the next vocalist for Mr. Children. 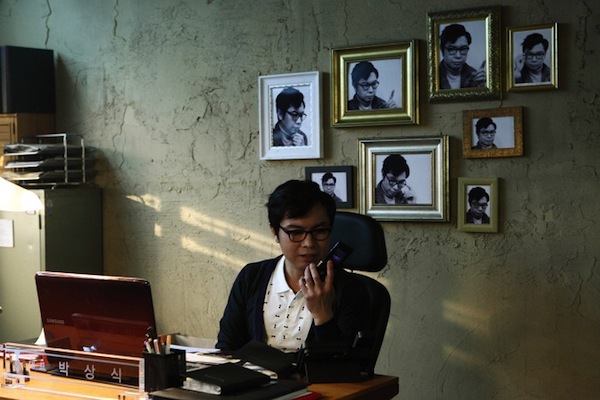 Meanwhile, Goo-Joo calls her cellphone, which was in her suitcase, and talks with travel guide assistant Yoo-Jin. They make an arrangement so Goo-Joo can pick up her suitcase and phone. 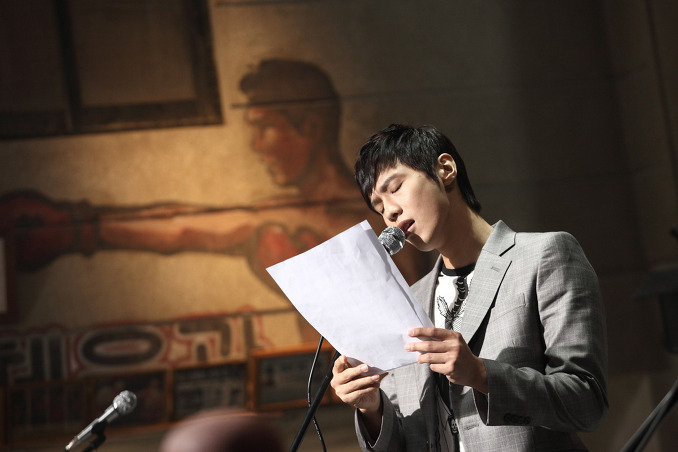 In the past, Yoo-Jin trained with a band for talent agency Star Music, but the group was kicked out from Star Music. He now works several part-time jobs and at night plays with an indie band in a bar. 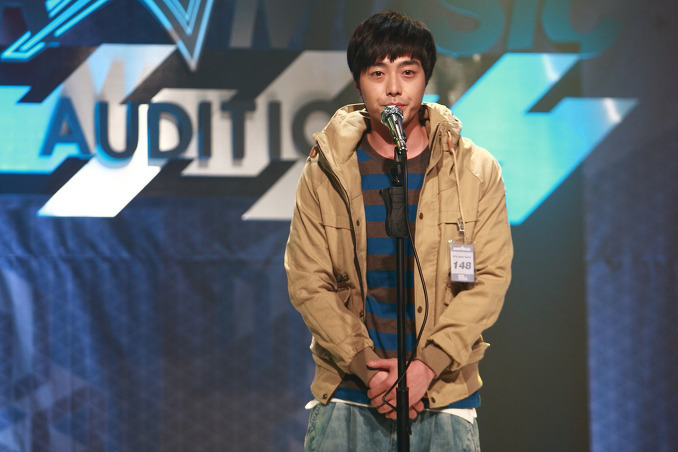 One day, the owner of the bar asks the band to take part in the audition held by Goo-Joo. Early Korean working title was "Happy Together" (해피투게더). "Mr Idol" began filming February 28th, 2011. The first shooting scene took place around Hongik University in Seoul, South Korea. Filming finished on June 9th, 2011. The last shooting scene took place on the Han River Bridge. 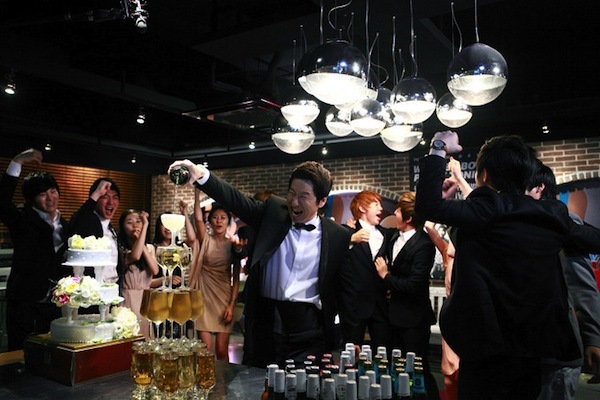 The last scene shot involved Yoo-Jin (Ji Hyun-Woo) carrying a drunken Goo-Joo (Park Ye-Jin) on his back. G-Huy Sep 28 2016 6:42 pm I saw the girl from What Happened in Bali and hated her in that drama, so I've been avoiding this movie from the Hulu Korean movies collection. However, I recognized the guy lead Yoo In-na's ex-BF and the lead of Queen Inyeon's man. So I decided to watch. I am very pleasantly surprised by the movie. The quality is very good cinematography-wise, the writing is pretty clever, it definitely tugs at the heartstrings while being light enough for the family. I like the dry humor especially from the girl. Altogether, this is a great family movie. Also, I loved so much the theme song -Summer Dream. I actually downloaded it from I-tunes. It makes me happy, something about the beat, even though I don't understand a lick of the lyrics except the few English words! I am curious to know how this movie performed in the box office. They should do an international showing like at Cannes or the one in Utah. I think it's very good. Davia Sep 22 2014 12:09 am I read some of the reviews and it's my perception that some people get Korean humour and some don't. I say this because I have read complaints so many times about those dramas which are in my opinion not only hilarious but one of the main reasons why I love a lot of Korean dramas. I only became exposed to KD's three years ago but have come to love Korean humour more than any other that I have come across. It's much funnier than British humour. I am not saying that this movie is the best example of that though but it is really quite funny. I loved the scene in the restaurant when he complained about not getting as much food as the little girl. The other thing I have noticed is that as good as Korean directors are at making great TV dramas that bad they seem to be at making movies. The scene sequences never seem to flow coherently and therefore are jarring to watch. This drama did endeavor some creative sequencing and editing though for which it deserves some points. firenze Aug 27 2012 4:11 am this movie is truly very inspiring specially to those real talented people who would not have the connections nor hid to immoral and illegal means! i hope there are really people like Oh Goo-Joo, who's best interest is to give breaks to real talents without vested selfish motives! i salute the writer of the movie who got the guts to expose the ugly side in the music industry. MORE POWER! the CAST are ALL GREAT!!! p.s. it seems like the story of my favorite Korean male group who dis-banded because of exploitation then later when they formed their new group they were being harassed and band to perform due to the pressure impose by the giant music company.... up to this date, their case is still being heard in the Korean court. God Bless the Group!!! awiz Mar 10 2012 7:16 am love park ye jin and kim soo ro since i watch them in family outing... miss them so much !! Byroms Feb 05 2012 10:33 am I quite liked this movie :D I had high expectations and they were met. Great music, great actors and a whole rollercoaster of emotions throughout the movie. yuii Jan 08 2012 8:34 pm Well Beep, you sounded as though this is the worst movie you've ever watched in your entire life. Park Yejin had to act that way because that's her character - someone who so-called doesn't have emotions. Probably there had been too much hype, excitement and promotion of the movie & cast in the beginning which led to its great expectations. Even if the movie doesn't meet the mountain high expectations, there certainly had been aspects that were enjoyable. It's all about building your dream and not giving up despite difficulties. And of course, at the same time you get to enjoy some eye candy~ just relax and enjoy the show. vivi Nov 11 2011 9:24 pm i hope to watch it sometime..looking good! Ki Nov 03 2011 7:08 am Watched MR. IDOL - simply put it's an awful film. Movie starts off with the feel of ski jump film TAKE OFF, but set in the Kpop universe. The story then staggers into various subplots that goes from dull to brain dead horrible. Female lead Park Ye-Jin pretty much mimed Bae Doo-Na from AIR DOLL throughout the film though she plays a music executive & not an air doll. 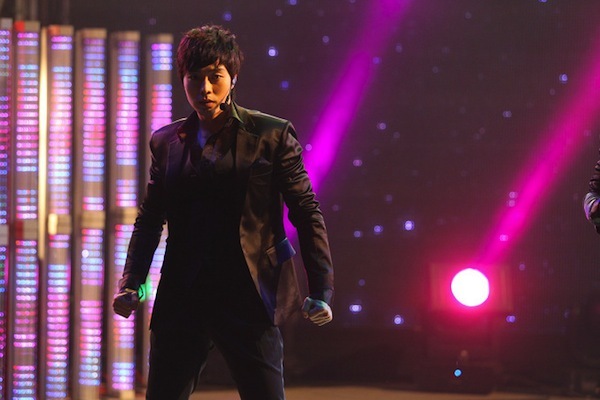 Male lead Ji Hyun-Woo was okay considering what he had to work with. The other 3 male members of his fictional Kpop band Mr. Children were nothing more than on screen wallflowers. I know one day someone will make a great film about Kpop but MR. IDOL isn't it by a country mile. I thought the Jang Keun-Suk film Doremifasolasido was equally as bad as Mr. Idol, but I noticed a lot of (younger) teens thought otherwise on the internet. For those that liked Doremifasolasido, they might lik Mr. Idol a whole lot more than me. Cazine Oct 29 2011 1:05 pm It's been released. Now we just have to find it! familymaniac Oct 25 2011 7:49 am kim sooro button and savage lady park ye jin!!! !missing u guys since FO.. and park jae bom..woahh! !i'm not gonna miss this movie! mimi Oct 11 2011 6:27 am aaaaahhh !!! i heard some cast member are coming to RM !! sakura1685 Sep 28 2011 7:27 am omg I can't wait to watch this one, love the trailer. 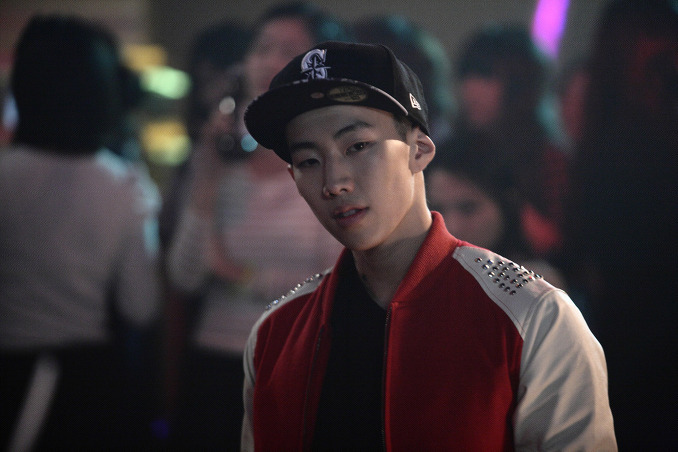 Cazine Sep 24 2011 10:20 pm I'm watching for Hyunwoo but Jay Park is in this? Yeah deff watching this, for sure!!! 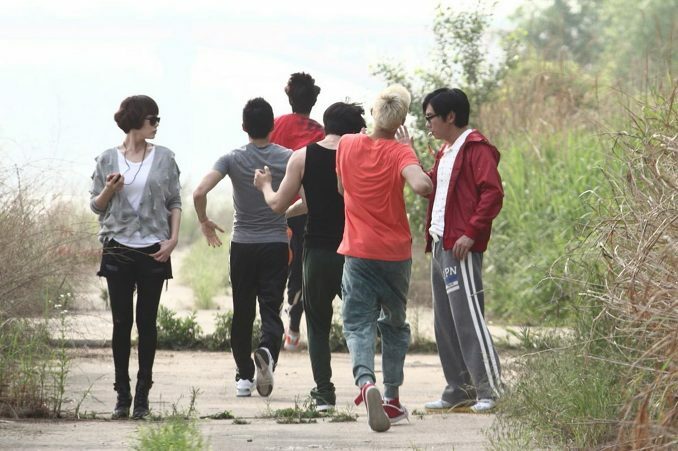 Immyura Sep 22 2011 12:09 am why there's no U kis name in the cast??? Anna Sep 21 2011 8:36 pm I WATCH THIS BECAUSE ITS HAVE U-KISS AND JAY PARK ! :D UKISS UKISS <3 CANT WAIT ! leah Aug 24 2011 4:19 pm u kiss!!!!!! 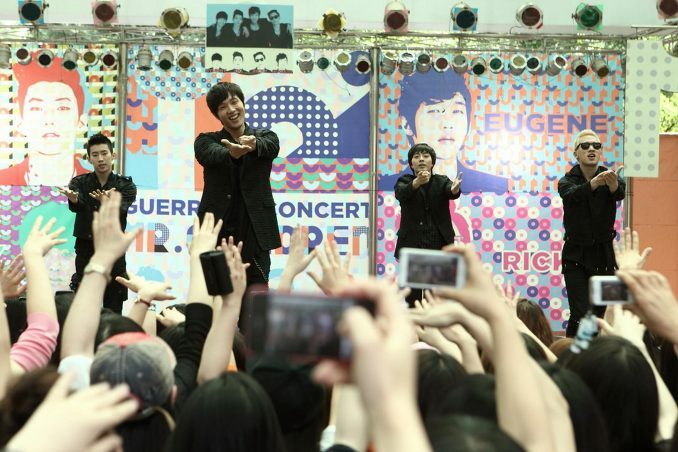 andrea Jul 18 2011 2:21 pm wooo awesome i wanna see ukiss! Crazyworld May 23 2011 9:10 pm Woaahhh...Park Jaebeom aka Jay Park? I'm freaking looking forward for this movie! taylor Apr 28 2011 12:41 am yaahhhh! jaebeom oppa!? exciting!! (: Can't wait to see what's in store for us. This sounds like a GREAT cast, especially with Ye Jin unni and Sooro ahjussii!